Nissan will be heading to Argentina for the tenth and final round of this year's FIA GT1 World Championship this weekend aiming for nothing less than a double-Championship victory, after emerging from September's tricky race double-header in China with flying colours. 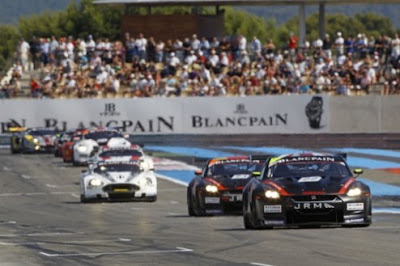 Michael Krumm and Lucas Luhr, in the no.23 JRM Racing Nissan GT-R, enter the race weekend at the beautiful and picturesque Lago Potrero de los Funes circuit in San Luis as leaders in the GT1 Drivers' Championship standings, whilst JRM sit a close second in the Teams' Championship. With an expectation that the track should be well favoured to the GT-R, and a successful trip to the Far East fresh in the memory, confidence is high amongst the driver ranks. 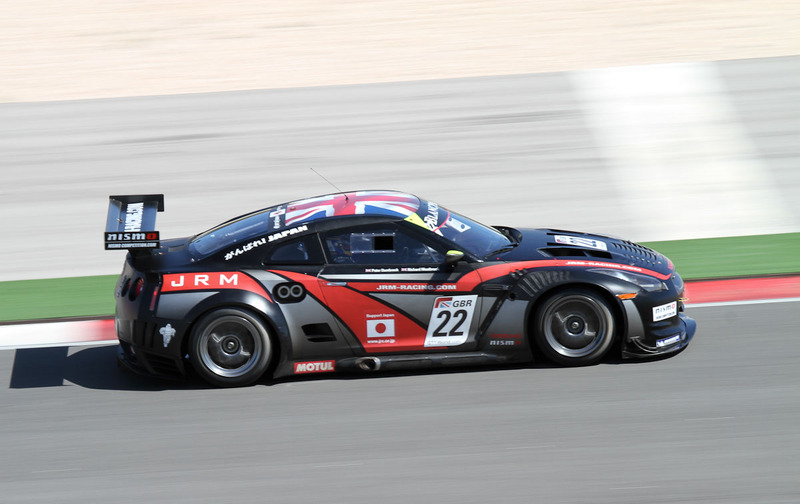 In the first of the Chinese races, at Ordos International Circuit in Inner Mongolia, Nissan was able to confound pre-race predictions that the GT-Rs would not be suited to the short and twisty track, as the no.22 JRM of Peter Dumbreck and Richard Westbrook claimed second place in both the Qualifying Race and the Championship Race. A week later, at Beijing's Goldenport Park Circuit for round nine, the GT-R's staged a fantastic recovery after a poor Qualifying session in which Jamie Campbell-Walter and David Brabham's no.21 Sumo Power GT was the highest ranked Nissan in eighth. 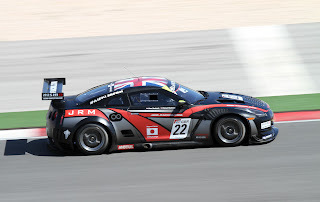 During the Qualifying Race, the no.23 JRM made up 10 places to finish in fourth, and things got even better in the Championship Race when Krumm and Luhr placed third to maintain their lead in the Drivers' standings, and the other three GT-Rs all finished within the top eight. Originally constructed in 1987, and rebuilt in 2008, the Lago Potrero de los Funes circuit is a semi-permanent track that encircles the scenic Lake Potrero de los Funes. At 6.270km (3.896 miles), the circuit is the longest used in this year's Championship, and also houses the most corners, with 22 - a far cry from the 2.4km (1.5 miles) and 14 turn Goldenport Park Circuit used last time out. The Argentinian track is renowned for being a fast and challenging course with numerous undulations, plenty of high speed corners and many overtaking opportunities - attributes that should, in theory, suit the Nissan GT-R. Speaking ahead of the race, Michael Krumm, no.23 JRM Racing, said: San Luis is an exciting track to drive, with all its elevations and incredible scenery. But the walls are hard and the track is slippery, so it's very easy to make a mistake. We can prepare well this year, as we have data from last year, so there are no surprises coming this time round. Watching last year's races is also very helpful, particularly the on-board videos of course. We've had a fantastic year so far, with three Championship Race victories, but nevertheless it would be nice to win another one - especially this one! I think the GT-R should be very competitive at this circuit and we will do everything to achieve our goal of the Teams' and Drivers' titles. Even though we are carrying 30kg of success ballast, if we get everything perfect, then we should have every chance. Michael's team-mate, Lucas Luhr, added: This will be the first time I have been to the San Luis circuit, so I have looking at a lot of on-board video from last year. This is the last race of the season and we are leading the Championship, so my goal is to be at the front in qualifying, race one and, of course, race two. We will do everything we possibly can to make sure we end the season as the Champions!